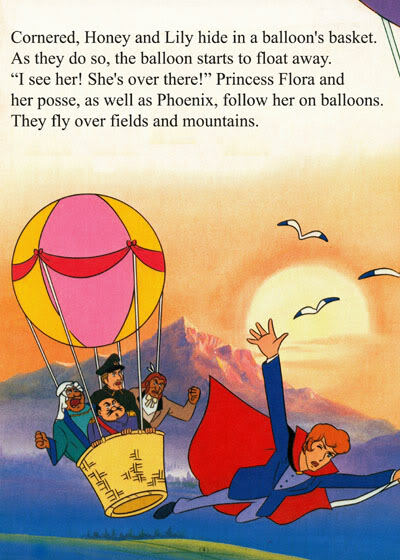 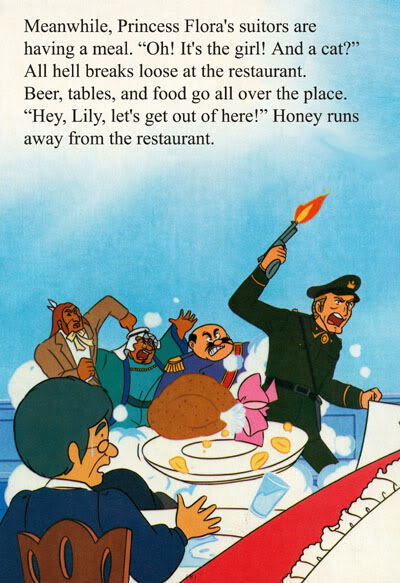 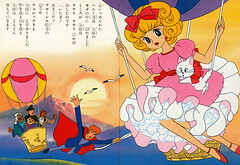 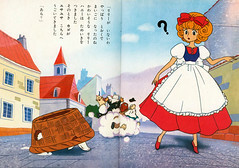 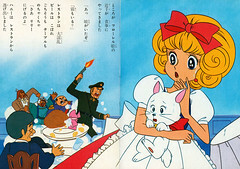 HONEY HONEY'S WONDERFUL ADVENTURES children's book published by Eikosha circa 1981. 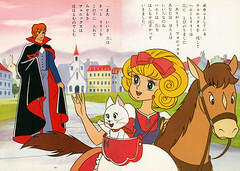 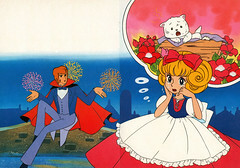 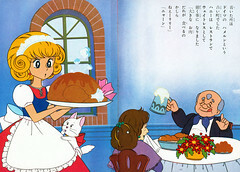 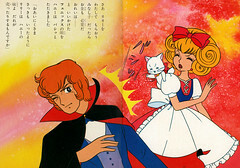 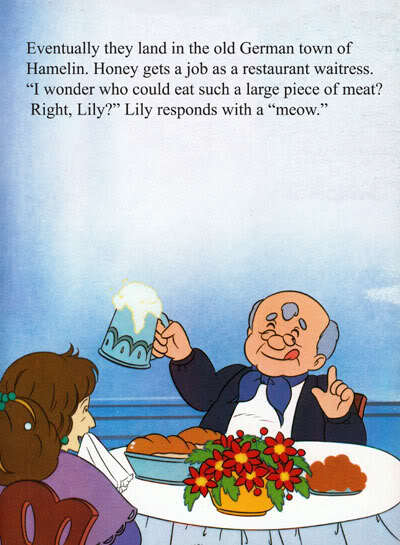 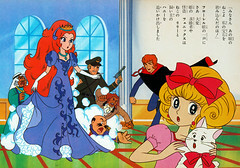 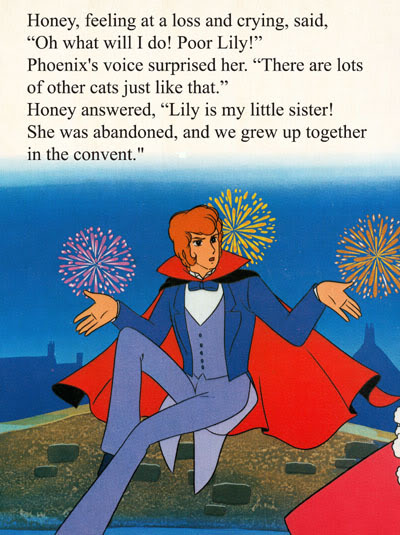 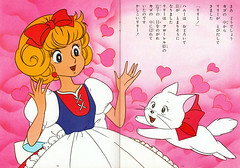 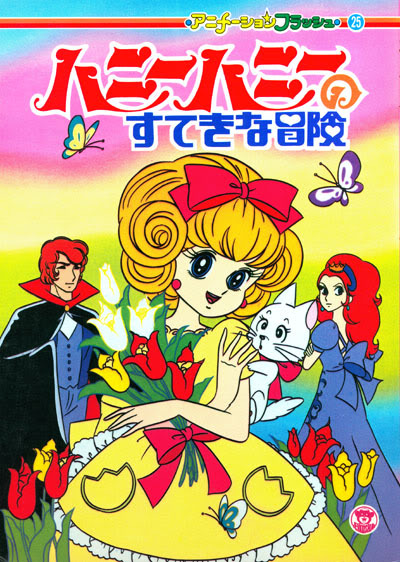 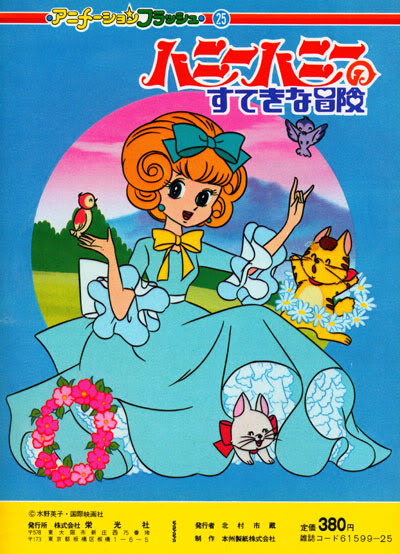 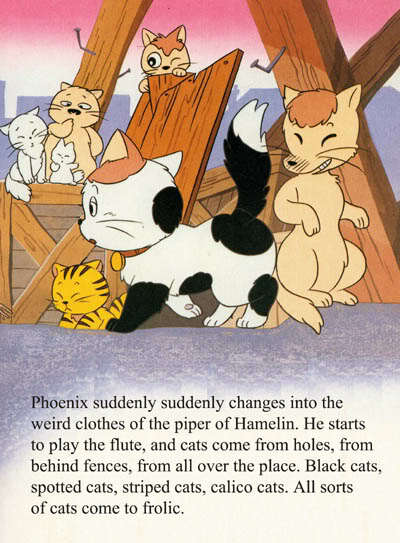 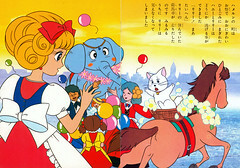 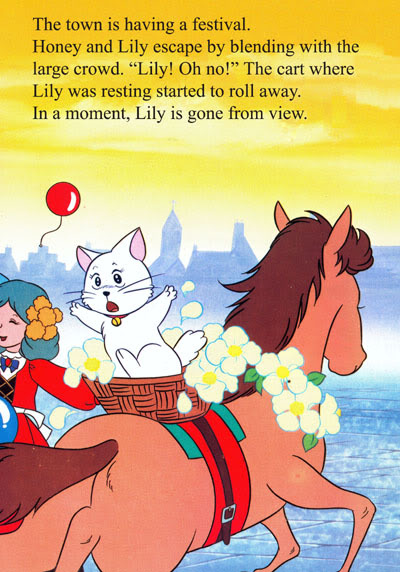 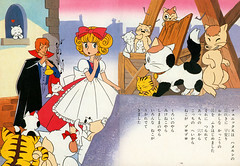 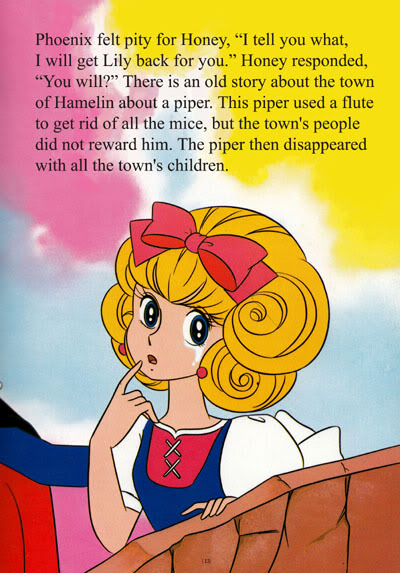 Based on episode #6 of the Kokusei Eigasha HONEY HONEY television series, "Hamelin Is Full Of Cats". 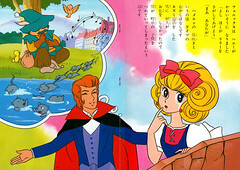 Click on smaller images to enlarge, and enjoy! 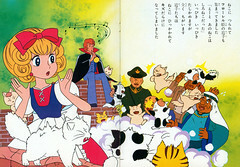 Special thanks to Rick Zerrano for the translation assistance! 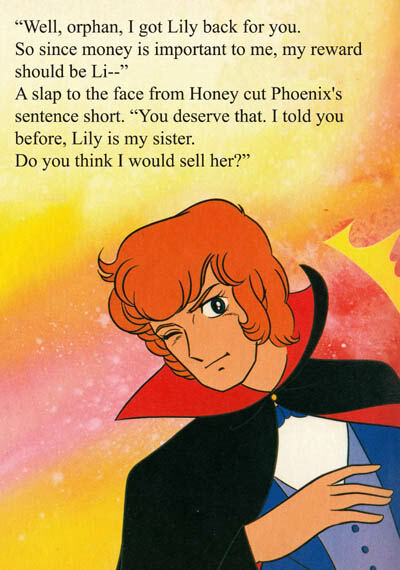 Will Phoenix capture Lily? 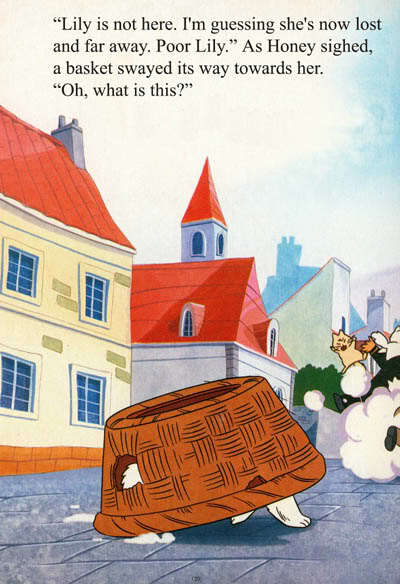 Will Herr Gustav catch Phoenix? 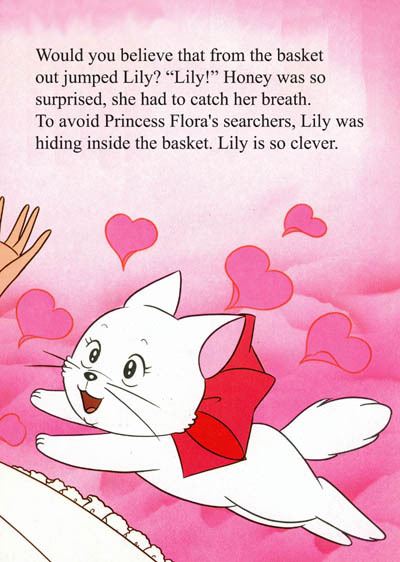 Will Princess Flora finally decide to marry somebody? 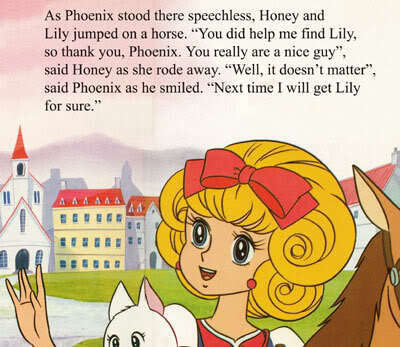 And will these people ever leave Honey Honey alone? 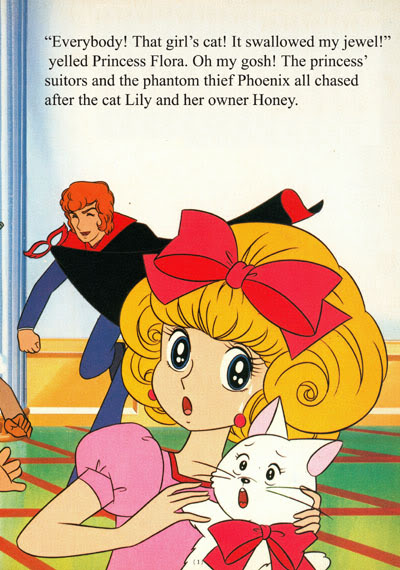 Tune in to the next exciting episode of the Wonderful Adventure Of Honey Honey!